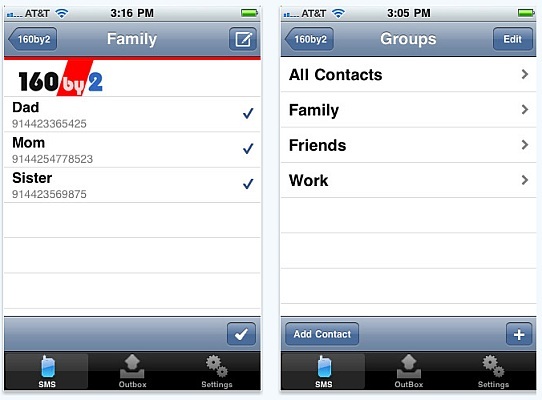 160by2.com, The well known and most popular free SMS site has developed it’s own Free SMS Application for iPhone. I think most of you know that the site allows all the user’s to send free SMS across the countries and within the country. However about the site, The Application is similar to their site which allows users to send free SMS even across the countries. The main advantage of using this application is that “we can select contacts form the list which is stored in the moblile”. But, At pesent this application works in few countries, namely, U.S, Canada, Singapore, Malaysia, Philippines, UAE, Kuwait and Soudi Arabia. As i said that “There are two new features to protect your Facebook Account” in a previous post, This is the second new Feature to protect your Facebook account. We call this new Feature as “Remote Logout”. This Feature allows the users to logout their accounts remotely. That is, If any user Logs in from their frineds computer or from an Internet center and forgets to logout, Then Its possible to Logout remotely using this Feature. 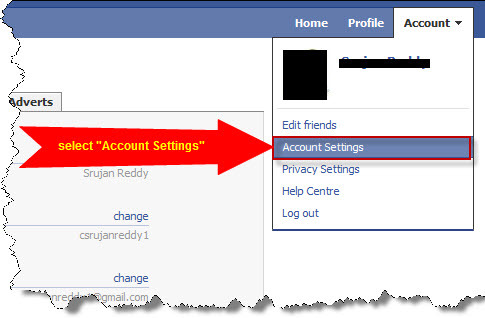 To Logout Remotely, All you have to do is, Just Login to your Facebook account from your computer and go to “Account Settings”. After selecting “Account Settings” You can see a page opened. There in that page go to Account Security” and Click on “Change” which is next to it. 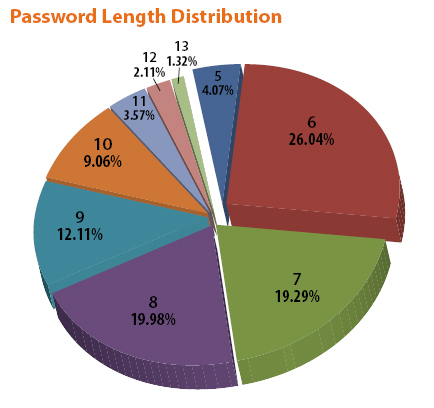 Imperva, A News site prepared and released a list of 20 Most commonly used Password’s which was picked up from an incident of hacking at rockyou.com. About 32 million usernames and passwords were infected in this incident. Imperva advices to use very strong passwords. 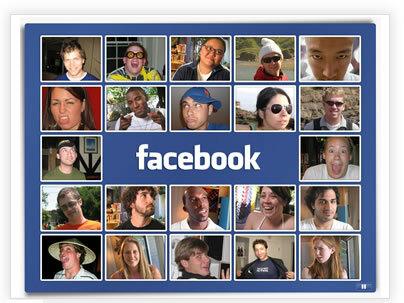 Facebook, The World’s No.1 social networking site is providing two new features to secure the user’s account’s. The first feature is “Temporary Password”, while the second one is “Remote Logout”. In this post i am going to Explain u about the first feature, That is “Temporary Password” and i will explain about “Remote Logout” feature in the later post’s. 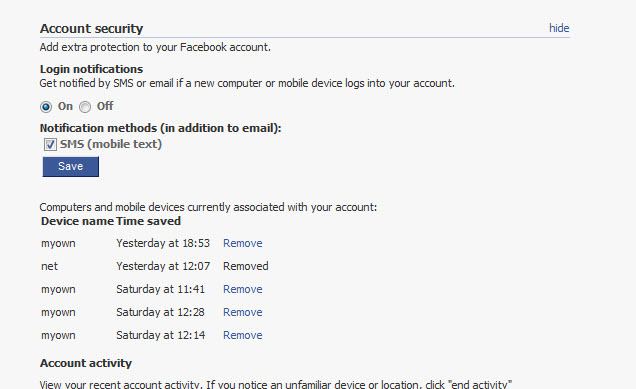 The “Temporary Password ” feature is one of the best feature’s to protect your Facebook account. This feature allows you to login to your account using a temporary password. Temporary Password is useful whenever you need to login from a friend’s computer or from some internet center’s. To receive Temporary Password you just need to send a text message to 32665 with the text “otp”. The Temporary Password works only for 20 minutes. If you try to login with the same password after 20 minutes, Its shows “Wrong Password” error. So, Even if someone hack’s your password from cache, It wont work’s. You should send message again to receive another Temporary Password. This feature will be available within a few weeks. How to create a photo collage? Collage is a way to assemble many photos into a single photo. This is a better way to remember memories within a single photo. However, There are many applications to create collage’s. I think Picasa, One of the Google product’s, is the best application out of all to create collage’s. Here is the step-by-step procedure of creating collage. 1. 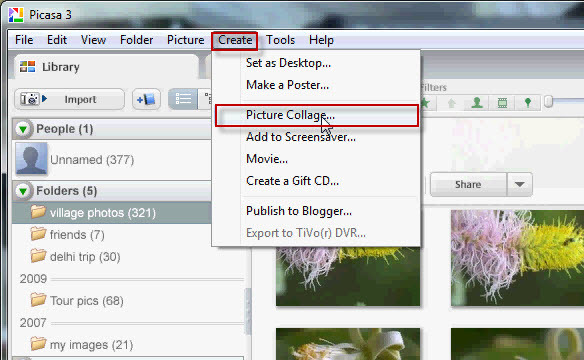 Open Picasa and select “Picture collage” from “create” tab. 2. After selecting, You can see the window opened as shown in the below screenshot. 3. 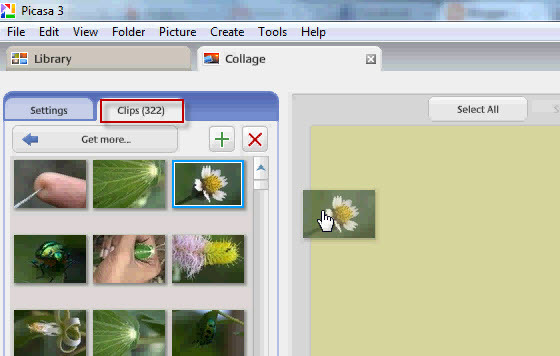 In this window, select “clips” tab. There you can see all the images. 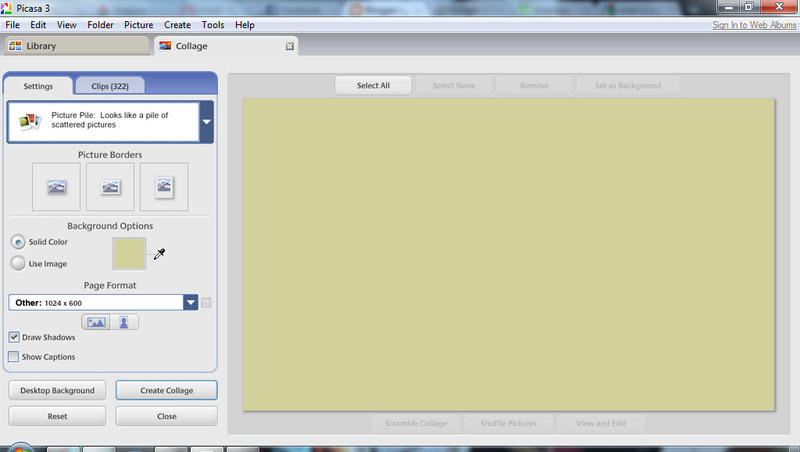 Now, Just drag and drop the images (which you are going to create collage with) into the right pane. 4. After draging the images into the panel, Just edit them as you want and save the collage. 5. Now, you can see the collage saved in the specified folder. 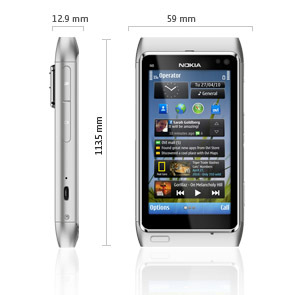 Amazing and Slim Nokia N8!!! The new Nokia N8 is available in the Indian market’s from october 2010 as mentioned in many sites. The phone is going to be the first release from Nokia with a 12MP camera. I think there is no need of talking about the clarity of images captured by it. Since, It has a 12 Mega Pixelled camera, It allows to capture even a High Quality images as well as Video’s. The device is as thinner as 12.9mm. It allows to manage 3 desktop’s at a time. So That, You can access Gadget’s and Application’s directly from the desktop. There is an inbuilt Facebook application which allows to receive message’s, update’s and friend request’s on the home screen. The phone is available in 5 different color’s. While coming to the display, It’s a 3.5 inch touch screen. The price of the phone is to be expected to be 375 Euro’s. It has 16GB (expandable upto 32GB microsd) storage and 256MB of RAM. The processor is ARM 11 680 MHz and it has 3D Graphics HW accelerator. There are GPRS, EDGE, 3G, WLAN, Bluetooth and USB connectivities available in this phone. For more details you may visit nokia website. 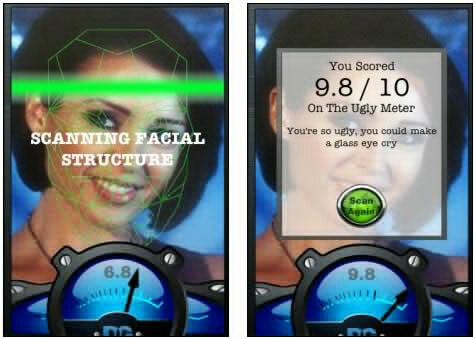 An iPhone application to know How ugly you are?? “Ugly Meter”, By listening the name, you may know that it say’s how ugly you are? It’s a fun application which is available at App store for just $0.99. It allows you to take a photo and it analyzes the image and gives the result out of ten. Since this Meter gives score about uglyness, The higher the score, the more ugly is the person in the photo. Just have a look at the below Screenshots of the Ugly Meter. The Meter Displaying the result with a comment: “You’re so ugly, you could make a glass eye cry”. Download the application from App store for just $0.99 and enjoy testing your uglyness..
A 16.2 megapixel CMOS sensor is developed exactly before an year for cellphones. This Sensor has introduced by Sony Ericsson in S006 smartphone. This is a big jump from the current 12 MP cellphone cameras. This phone has Wi-Fi and Bluetooth connectivity, GPS navigation and inbuilt FM. The phone’s Processor is 1GHz Snapdragon and Sony Ericsson’s own OS. This mobile is being released in japan at the moment, So no idea on local availability and pricing yet. iVogue, One of the online shopping site’s, Now offer’s Screen protector on every purchase of iPhone case (It may be either iPhone 4 or 3G/3GS). How to get Screen protector for free at iVogue. 1. Visit iVogue.co.uk and Choose your iPhone case to buy. 2. After Selecting, You will Directed to your Paypal account for the payment. 3. There you can see “Add special instructions to merchant”link. 4. Select “simonblog” as special instruction and pay for the case. 5. Now, iVogue sends you a screen protector (worth’s 2.99 pounds) free with the case. How to delete “Run History” in Windows? When you need to delete “Run History” for some reason’s, You may be thinking on How to do it. But now, Don’t worry about that. Here, I have explained clearly about Deleting “Run History” in this post. 1. Open Run Either by selecting “Run” from Start menu or by using Ctrl+R shortcut. 2. 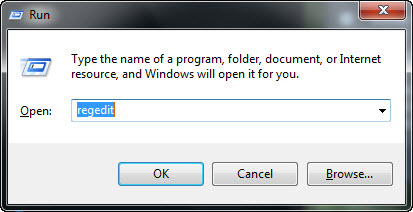 Type “regedit” in the “open” field and press “Ok”. 3. By clicking Ok, You can see Registry Editor opened. Now, Expand “HKEY_CURRENT_USER” folder by clicking on plus sign. 4. In the sub folder’s Expand Software > Microsoft > Windows > CurrentVersion and open Run folder. 5. Now, You can see Program’s listed on the right windowpane. Exactly, This is the “Run History”. 6. Just Select the program’s which you want to delete from history and Select “Delete” by Right clicking on the selected program’s. The History will Disappear now. 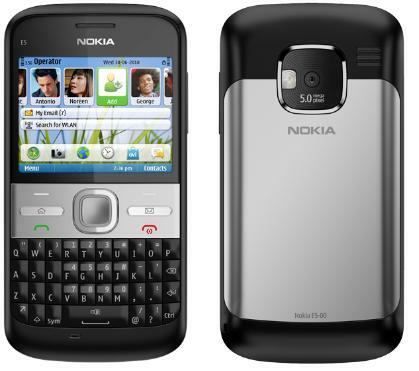 The new Nokia E5 is going to be released in the indian market. The mobile comes with Symbian OS and higher end specification’s. It has a QWERTY keypad which enhances comfortable typing. The battery is BL-4D 1200mAh Li-Ion and it is capable to provide talktime of around 7 hrs for GSM, 4 hrs for WCDMA and stanby time upto 600 hrs for GSM, 545 hrs for WCDMA. The phone is available in Carbon black, Chalk white, Copper brown, Silver grey and Sky blue colors. Currently, Avalable in Carbon black and Chalk white colors. The 5MP camera allows to capture high resolution pictures. There are HSDPA, HSUPA, GPRS and EDGE data connections. The device is also compatible with GPS, WLAN and Tri-band. The phone weight’s 126gms. All over, The price is estimated to be Rs. 13,000. Let’s, Wait for Nokia E5. Just RSS feed is not enough to make your blog post’s reach to every one. Now it’s possible to Add a blog to your facebook profile. There is no application to show your blog post’s on your Facebook profile. Even it’s possible to show post’s on Facebook. This is possible by creating an account in www.twitterfeed.com . Step’s to add your blog to Facebook. 2. Before this, I forget to say that it”s possible to post on facebook only if you have rss feed for your blog. 3. After creating the account in twitterfeed, Just give your feed detail’s. 4. Now, Select “Publish to Facebook”. 5. Don’t forget to allow access from that site. 6. That’s it, Now your post’s will be published on your Facebook profile as Update’s. Proudly powered by WordPress Theme: Liano.